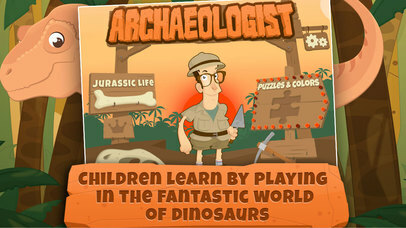 Children learn by playing in the fantastic world of dinosaurs and have fun digging for all the bones. They can also play with the puzzles and color the dinosaurs. 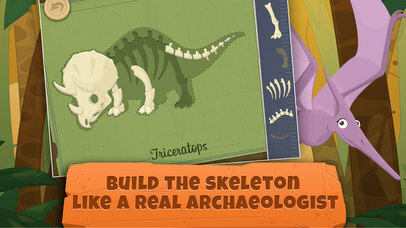 Children can also build the skeleton like a real archaeologist. Children will all enjoy the various game modes. The most appealing of all is definitely digging. 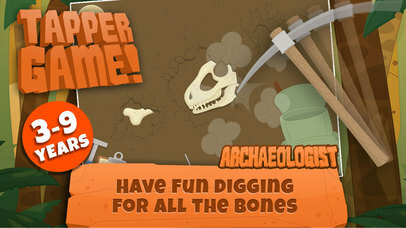 Like a true explorer, look for all the bones hidden underground to build the dinosaur skeleton. The children who tried it could not stop digging. 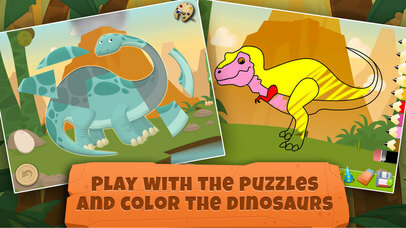 They will learn about dinosaurs with puzzles and sound effects and can color the characters using a magic brush. The game graphics are carefully designed and full of color. 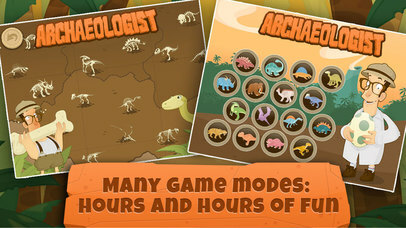 Animations were created for the youngest players and the game is packed with information on dinosaurs. Plenty of fun for your children and yourself. Try it now, you will not be disappointed. Your children will have plenty of fun. NOTE on title “Archaeologist”: we would like to point out that the science that studies dinosaurs is Paleontology. However, the protagonists of the saga of the archaeologist will not take care only of dinosaurs. Joe is an explorer, he likes to dig, find hidden objects; his wife, Bonnie, is a paleontologist and soon, there will be other characters and new adventures, looking for other mysterious objects.